For the past three years Ive had the great honour of being selected as a mentor for the Adobe Design Achievement Awards. The mentorship program is oganised in collaboration with Adobe and ico-D (the world body for professional design, an international council that promotes the designer’s vital role in society and commerce that unify the voices of designers worldwide. www.ico-d.org). Throughout my involvement, I have had the pleasure of mentoring some fantastic students that have gone onto successful design positions. More on the Awards and the Mentorship program below. The Adobe ico-D Mentorship program is offered to any student who participates in the Adobe Design Achievement Awards competition (ADAA). The program is composed of the 5 I 5 I 5 Mentorship and the Portfolio Review. In this dual program, each mentor will select ten students from the ADAA participants who applied for the opportunity. • One student is selected for the 5 I 5 I 5 Mentorship, which consists of 5 one-on-one virtual sessions that engage 5 predetermined objectives happening over the course of 5 months. • The remaining nine students become part of the Portfolio Review, which provides incisive comments, advice, and feedback from the mentor about their work and practice. The 5 I 5 I 5 Mentorship and the Portfolio Reviews can be very flexible, since they are carried out virtually. The pair creates their own agenda to ensure a mutually rewarding experience. Submit a project to the 2015 ADAA contest and you may be chosen by one of our mentors to participate to the Adobe ico-D Mentorship Program. 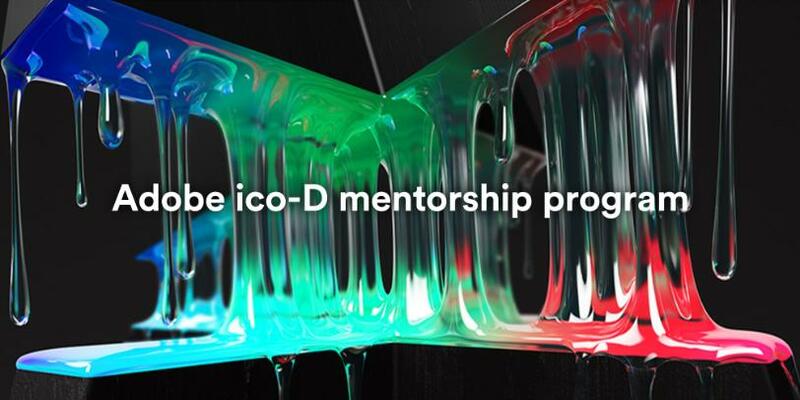 The mentors are accomplished creative professionals from ico-D and Adobe's global network. They are passionate about launching the careers of the next generation. If a mentor likes your work, you may be chosen for a portfolio review or mentorship, regardless of whether your project is selected for placement in the ADAA contest. Mentors can offer you portfolio and career guidance and may even give you opportunities to collaborate on projects. The portfolio review provides advice and feedback from a Mentor about your work. The mentorship: consists of 5 one-on-one virtual sessions based on 5 predetermined objectives over 5 months. The Adobe Design Achievement Awards are very close to me. I won a similar Award, the UK's New Designer Award back, in 1994 and it really help me to establish myself within the industry and continued to enhance my design career for the years to follow. With my full time role as creative director and being a dad, my blog may slow down for a little while whilst I immerse any downtime I have into my commitments to mentoring my selected students through the program. Its always an exciting time and I always get so much out of the program that I'm sure will go onto inspire more post to this blog in the near future. I have also just uploaded plenty of new articles to keep all of The design Life readers inspired until the mentorship program finishes for the year.